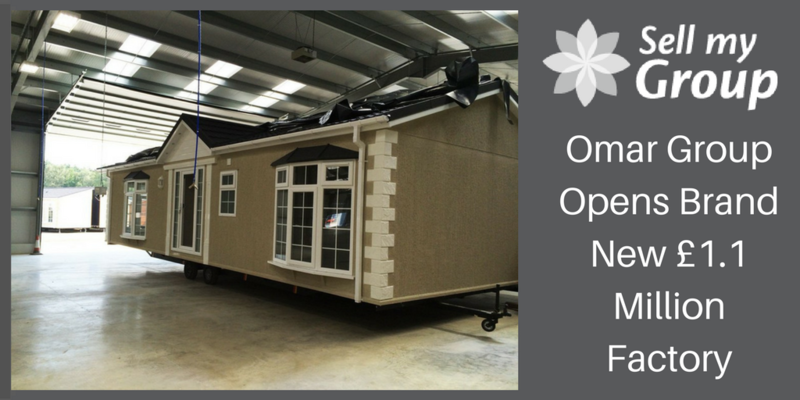 Here at Sell My Group, we work closely with Omar Group, the country’s premier park home and holiday lodge manufacturer. Omar have recently unveiled an impressive new £1.1 million factory extension in Brandon, Suffolk. The extension, which houses eight new finishing bays is one of the first steps in an exciting new period for the company. This will hopefully help to address the growing market demand for park homes and holiday lodges. Furthermore, 80 new jobs will also be opened up. The Omar Group has been a big success story in the park home industry. They have experienced rapid growth, more than trebled their sales over the last six years and increased their portfolio over four different brands. They also featured in the London Stock Exchange Group’s ‘1,000 Companies to Inspire Britain’ in February. The new factory also continues their commitment to creating jobs in the park home industry. They have already created as many as 210 over the last three years alone. This includes roles ranging from IT and design to carpentry and plumbing. The firm have already expanded their operations to a new plant based in Hull. They decided they needed continue to address the overwhelming demand for park homes. And have done so by taking the steps to build this new extension in Suffolk. In total, the 43,806 sq. ft. extension comprises of eight specially designed new finishing bays, additional storage space and a new flooring area. The local district made this possible by investing £50ok. Dean Westmoreland is the chief executive of Omar Group. He said at the official opening: “Thanks to our strong working relationship with Forest Heath District Council, our new factory extension will enable us to continue with our ambitious growth strategy, deliver genuine quality and efficiency improvements and add a further 80 new full-time jobs to the 210 we have created in the past three years. “Following the referendum, staycations are all set to continue to boom. Our park homes and lodges should thrive. A current shortage of age-appropriate, affordable, single-story housing will also help this. These developments show just what good health the park home and holiday lodge markets are in. In a blog in September, we spoke of a number of reasons why the industry is experiencing such a boom. These included the wider increase in staycations, The fall of the value of the pound following Brexit has lead to this. In addition, the rising price of bricks and mortar homes has made it more appealing for many to make the move to a park home. Additionaly, new laws introduced over the last few years have helped to give much greater protection to park home residents. All of this is great news for the industry. We’re glad to see that Omar are taking such positive steps to meet demand!